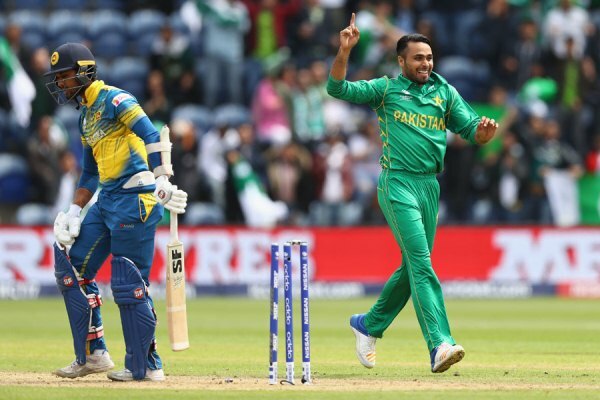 Rarely a dull moment in the game, Pakistan versus Sri Lanka lived up to its expectations of being an engrossing virtual quarter-final. Despite a semi-final berth being on the line, both teams seemed to be on a never-ending quest to perform worse than the other. Eventually, Pakistan emerged as the less worse side of the two and booked a date with England. While Pakistan’s victory holds true to its rich history of edge-of-the-seat drama and turning the simplest of situations into tricky and impossible ones, some things, or some people to be specific, definitely felt out of place. And while a fan could not have been any more pleased with the outcome, a follower knows that more bad comes out of this than good. On a typically sluggish morning in Cardiff, Sarfraz Ahmed called correctly and Pakistan elected to bowl first. 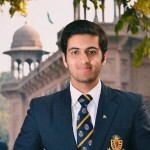 Shadab Khan made way for the Kasur-born bowling all-rounder, Fahim Ashraf, whose heroics had led Pakistan to an impossible victory over Bangladesh in the warm-ups. With plenty of grass on the wicket, bowling first and extracting movement off the surface seemed like a no-brainer, but proceeding with four frontline pacers was bound to, as it did, result in slow overrate concerns. Mohammad Amir and Junaid Khan started proceedings for Pakistan against the ultra-aggressive duo of Niroshan Dickwella and Danushka Gunathilaka. The Sri Lankan openers brought out the scoops early and breezed off to a fairly good start, but Junaid’s disciplined bowling earned him the prized wicket of Gunathilaka. While both Amir and Junaid were their impressive selves, any avid follower of Pakistan’s games in recent times would know that the real magic begins when Hasan Ali comes on to bowl. 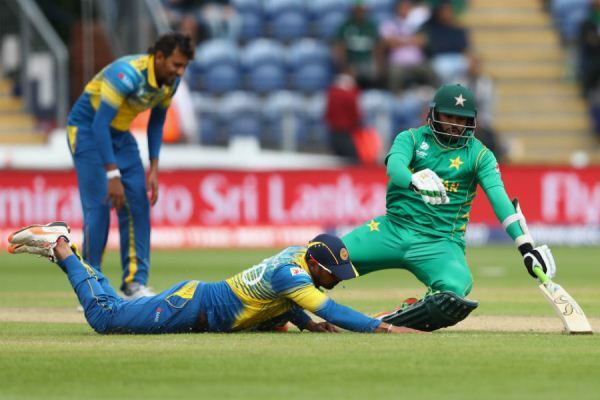 Hassan, who has looked unplayable at times during this tournament, registered another entry of his in the ball of the tournament category as he left Kusal Mendis looking cluelessly at first the surface and then his stumps. 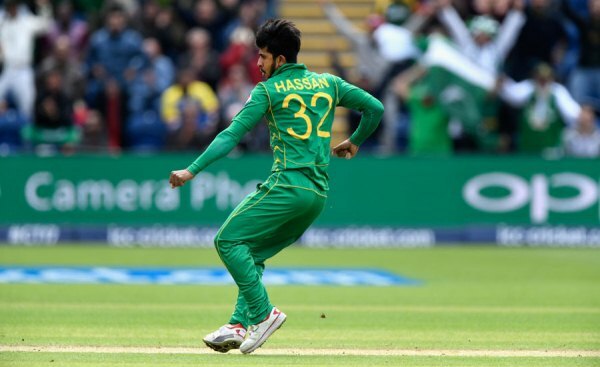 Hasan is not your typical Pakistani fast bowler. He is neither tall nor bulky and he has a much smoother, straight-arm action as compared to the others’ more side-on ones, but his quick-thinking brain and a skill set we wish all our bowlers could have make him one of Pakistan’s hottest prospects in recent times. Fahim’s bowling performance was rather hot and cold. In the six overs that he bowled, not once did he genuinely look like imposing himself on the batsmen like Hasan or Junaid did. Neither threatening nor skilled enough to be used as an attacking option and too edgy for a defensive one, Fahim is definitely not a finished product yet and there is definitely room for improvement. Albeit, two wickets on debut and an economy rate of under six should do his confidence a world of good. As fans revered at the sight of both Junaid and Amir looking more and more like their old selves, the two left-arm quicks gently dismantled the Sri Lankan middle-order to expose the tail. Eventually, all 10 wickets were picked up by the pacers in a dominant display of skill, temperament and smart thinking, and for the second match in a row, Pakistan had managed to restrict the opposition to a below-par total of under 240. On to the batsmen, who were not only expected but certain to give the fans a few hikes in their blood pressure. Both Fakhar Zaman and Sarfraz scored important 50s and, may God be my witness, they could not have been any more contrasting in a limited-overs game. Fakhar, playing only his second game, was his usual self – unsparing and unapologetic in his approach towards the bowlers. Not even Lasith Malinga was spared. Having Fakhar at the other end allowed Azhar Ali to soak in the warmth from the sun on a typical Welsh afternoon, be extra gentle in his approach and pay his respect to the balls that came his way, even ones that were worthy of none. After a 14-ball hiatus, Azhar finally got off the mark with a panicky single while taking on the mid-off fielder. Fakhar raced to his maiden half-century before falling prey to a well-directed short ball by Nuwan Pradeep. Babar Azam followed Fakhar, Mohammad Hafeez followed Babar, Azhar followed Hafeez and, much sooner than expected, Pakistan found themselves in the same old doldrums. Shoaib Malik too had an off day as he gloved to the wicket-keeper trying to guide a misdirected short-ball from Malinga for a boundary. 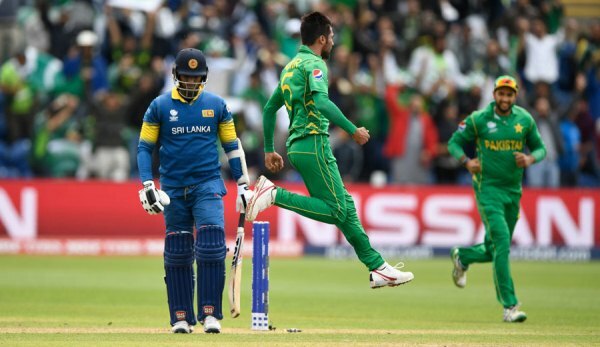 Imad Wasim’s dismissal marked Pakistan’s 15th short-ball dismissal which briefly told the story of Pakistan’s undoing in this year’s Champions Trophy. After Shoaib’s dismissal, expectations lowered significantly and everybody expected Pakistan to crash completely, passing out in almost a depressingly comical manner. However, Sarfraz and Amir had different plans. 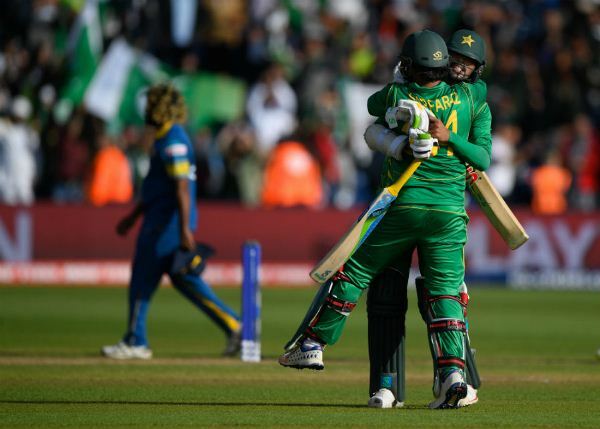 The pair piled on a match-winning 75 runs together, going on to form the highest eighth wicket partnership in Champions Trophy history in the process. Sarfraz was gutsy, but fallible. Pakistan were helped majorly by Sri Lanka themselves who seemed to have forgotten how to field as they dropped Sarfraz, whose wicket would have been the final nail in the coffin, twice off the bowling of Malinga. Amir’s innings were even more admirable given his tail-ender status. He intended on getting stuck with Sarfraz on the crease until the end to see Pakistan through and that is what he did in a relatively neat manner. One could argue that it was a game of which team wanted to avoid losing more and it would be completely true, but Sarfraz and the boys will be sleeping easy tonight knowing that they live to see another day. Malinga, a limited-overs icon, may have bowled his last in an ICC event for Sri Lanka and, truly, he deserved a better send-off. As for Pakistan, after defeating rain, South Africa, Sri Lanka and themselves, they now get to challenge tournament-favourites England in what is expected to be a one-sided encounter. Just like the game against South Africa was supposed to be a one-sided encounter, but oh, Pakistan, go on then.